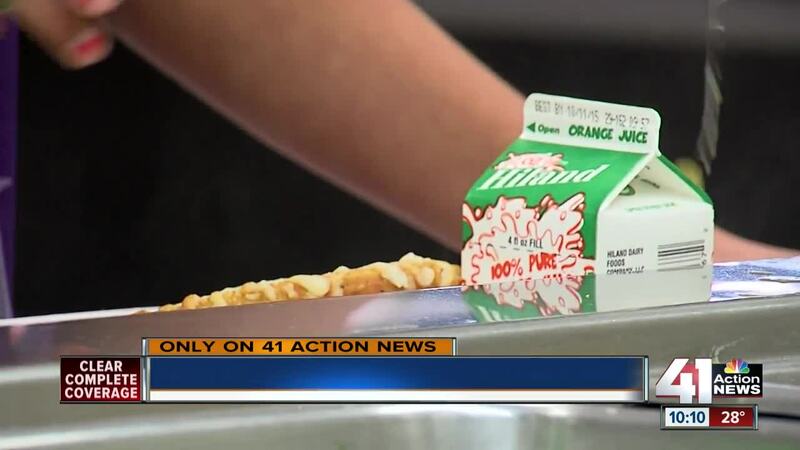 After changing its school lunch policy to guarantee every student a hot lunch, the Shawnee Mission School District is facing $16,554.21 in negative account balance for student lunches. KANSAS CITY, Mo. — After changing its school lunch policy to guarantee every student a hot lunch, the Shawnee Mission School District is facing $16,554.21 in negative account balance for student lunches. Despite the growing debt, the Board of Education is continuing with its policy. "There was concern expressed that serving a child an alternative meal might shame that child, make that child feel different from everyone else," said David Smith, spokesman for the district. Before the policy change in November, the district would allow students who exceeded their balances to charge a certain amount of meals to their accounts. Once students went over these amounts, they would then be served an alternative meal-- cheese sandwiches and milk. Now, students are guaranteed a full lunch meal. If their accounts are delinquent, the school district contacts the family and offers to help. "We have had accounts that are delinquent and the family has since signed up for free lunch, so going forward they do not accrue any more charges," said Smith. The outstanding debt, however, remains. "We are expecting so much out of kids these days, especially those elementary school levels, if you are just giving them a cheese sandwich to get through the day, they are not going to be able to perform in school and they can be ostracized," said Megan Peters, chair of Education First Shawnee Mission. Education First Shawnee Mission supports the district's efforts in making sure every student gets a full meal. They believe students learn better when they are provided one. "If we didn’t have that debt, would all of those children be eating cheese sandwiches everyday? That’s what I think about more than the monetary number. There are so many creative ways, we have smart people in our community that can find ways to fix this problem," said Peters. The board will continue to keep the policy in place and review it in April. If you would like to help the district ease the debt, you can make donations to the Shawnee Mission Educational Foundation .